The school pond, which we have been able to trace back as far as 1876 using historic OS maps, has been a central part of the school’s nature studies since 1969. 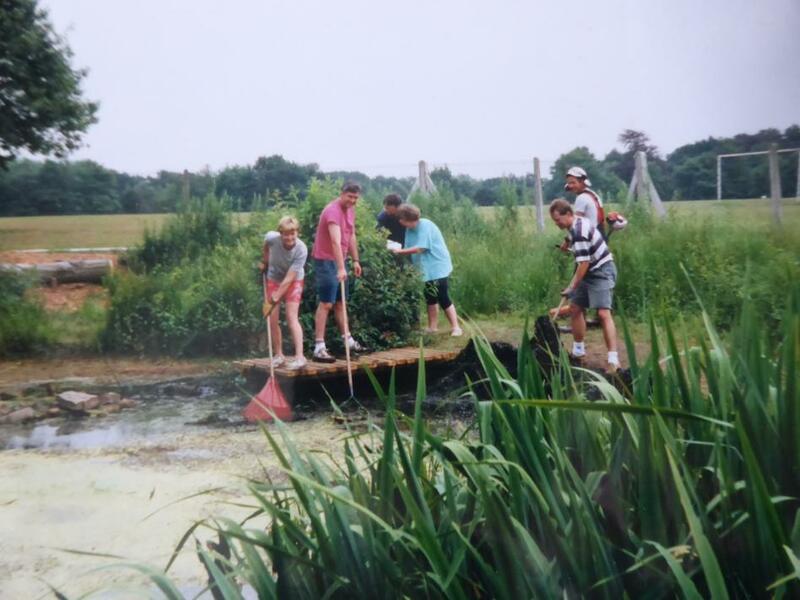 Many children have enjoyed pond dipping activities as part of their science curriculum and back in 1995 the PTA built dipping platforms and cleared the area to allow for easier access. 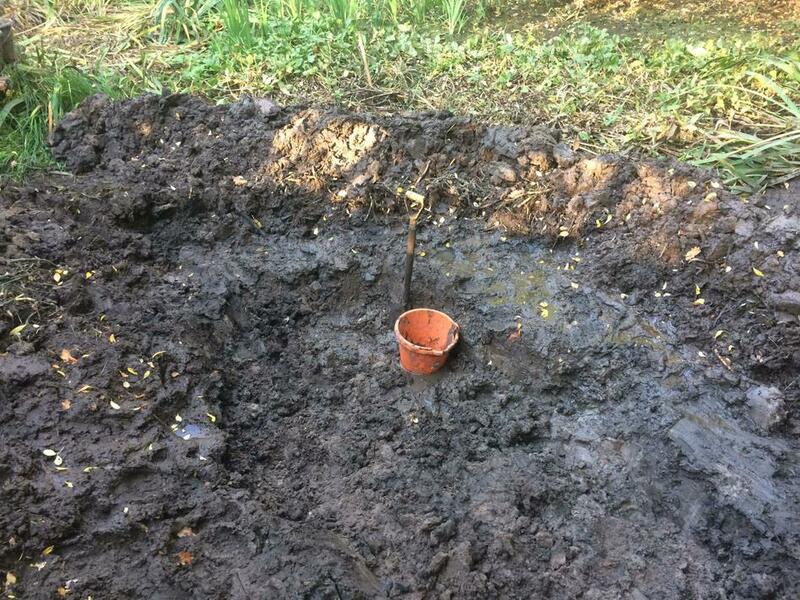 Over the years it has become an important habitat for a range of wildlife but unfortunately, over the last 12 months the pond has dried up despite all our best efforts. 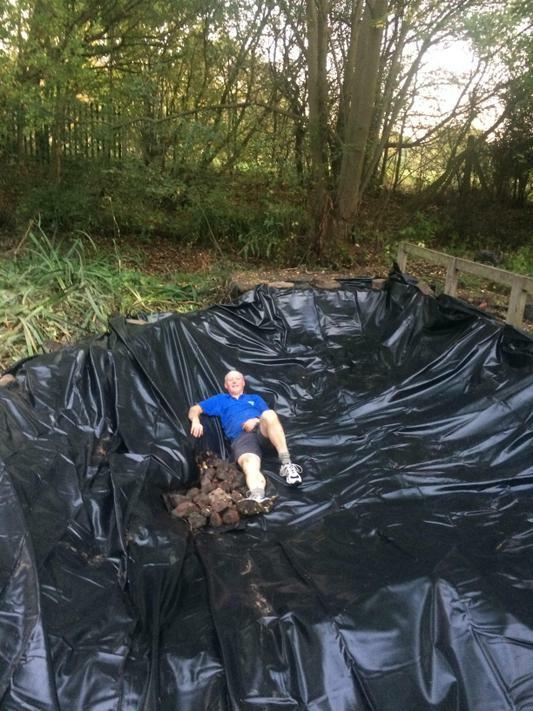 Mr Hamblett has been leading the project to try to reinstate the pond and arranged for St Peter’s scouts to come and help dig out some of the thick mud, allowing us to locate a pond liner in a small section of the original pond, in an attempt to save this important habitat. 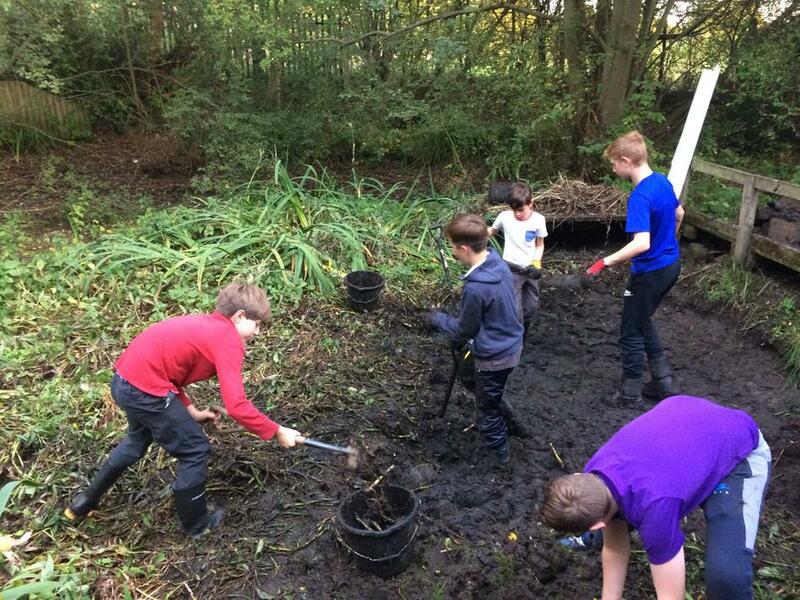 Our thanks go to the scouts for their hard work and also to Karen Bushell from Dunham Fisheries, who has been helping with our endeavours. If anyone is interested in becoming involved, please contact Mr Hamblett or Mrs Moss and hopefully we can preserve this important part of our school for future generations.